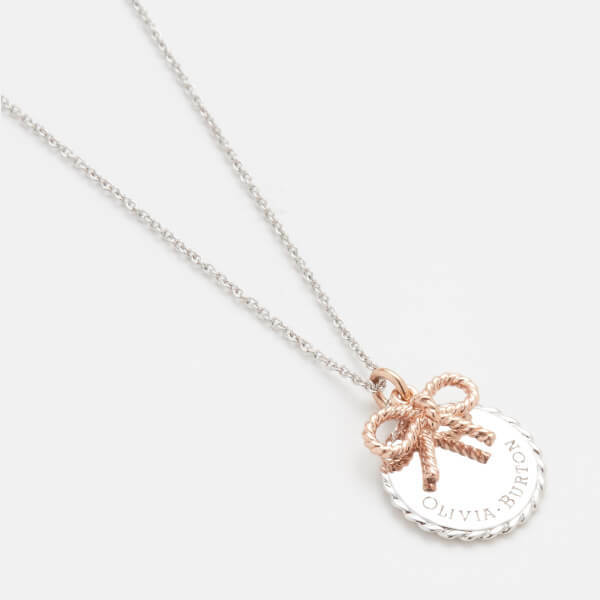 Women’s silver and rose gold-plated bow and coin necklace from Olivia Burton. 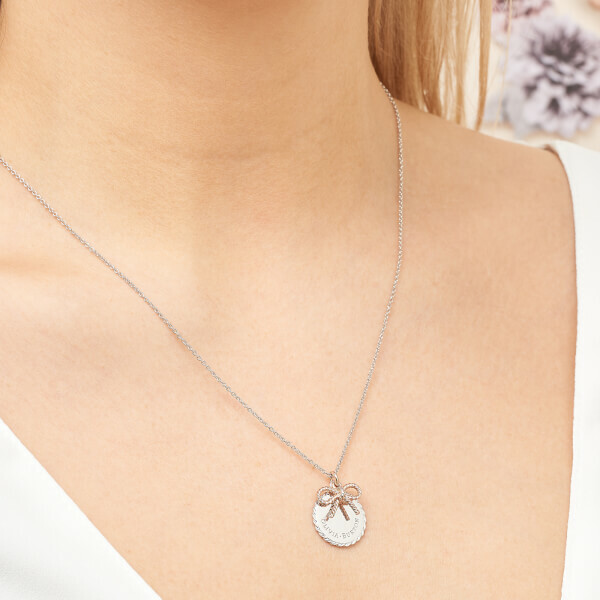 The delicate silver-tone chain is fastened with a ball chain clasp that allows you to adjust the necklace to your desired length. 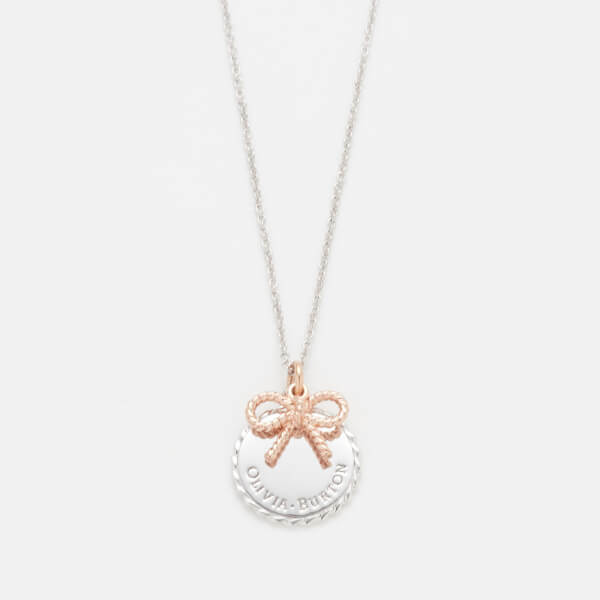 The pendant comprises a rose gold-tone bow suspended over a silver-plated disc embossed with Olivia Burton branding. 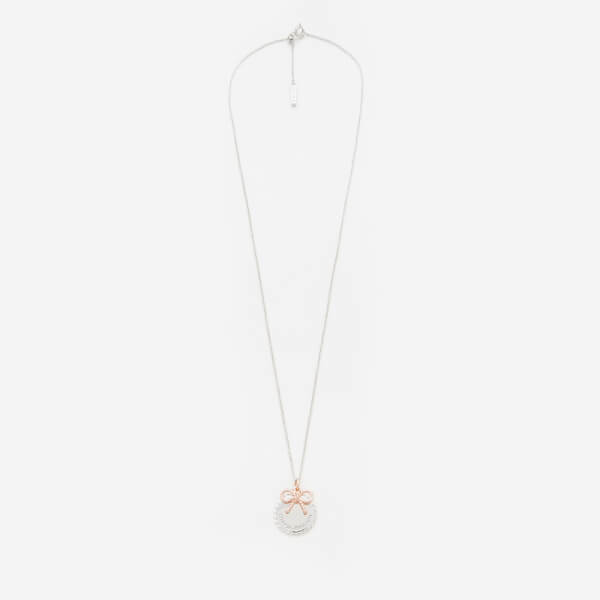 The necklace comes beautifully packaged in a presentation box. 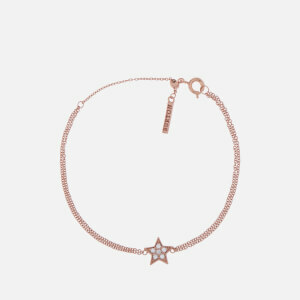 Chain Length: Maximum Drop 26.5cm. Charm Diameter: 15mm.